The 2019 Conference Program will available soon. Visit HERE for more details on registration, exhibitor booths and more. 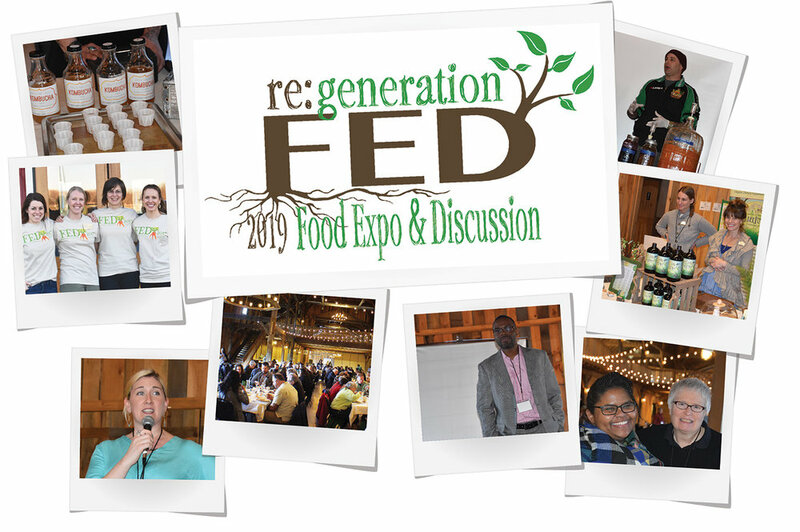 FED is open to all — whether you eat food, play a role in the food system, or have a passion for food issues! Tickets are $20 in advance or $25 at the door, and include panel discussions, workshops, locally-sourced lunch, and admittance to the Expo. You can also visit the ticket link to reserve an Expo booth for your farm, business, or non-profit. This collaborative event will be focused on regenerative farming, food waste and community building across Northwest Indiana. Let's get to know one another, learn together, and brainstorm ways to work together. Check out the agenda! Be a part of the Expo! Exhibit space is intended for food producers, community groups, food businesses, and anyone who provides services or goods to local growers or consumers. A 6-foot table will be provided. Electricity will be available but please bring your own extension chords. The booth fee is $50 and also includes event admission and lunch for one. This is a fantastic opportunity to get exposure in front of a very focused audience of 150-200 consumers, farmers, and others who are into local food. You can also provide samples and/or sell items that day if you like (as long as you have necessary permits). Join us and build a better food system for all! Sponsorship is a beautiful opportunity to let your stakeholders know you’re supporting local food system work. We offer a wide range of levels and opportunities for you to support local food programming while receiving exposure all year long. Join us! More: Agenda 🥕 Speakers 🥕 Sponsorship Opportunities 🥕 Expo Booth Reservations 🥕 FED Tickets! Beginning farmers and others with basic information needs are invited to participate in a series of twelve online programs addressing crop and livestock production, farm business and marketing on Wednesday evenings January 16 through April 3, 2019. Participants will get an overview of a variety of farming enterprises and topics, and have an opportunities through live, online chat to ask questions of MSU and other agriculture experts. Several archived recordings of MSU Extension Beginning Farmer Webinars on a variety of topics from previous years are available for viewing at http://msue.anr.msu.edu/program/info/beginning_farmer_webinar_series. Each 60 minute live webinar presentation will begin at 7 PM EST and will include opportunities for chat-based 'question & answer' with the presenter. A $5 fee is charged for each webinar in the series, or $30 for the full series (50% savings!). Individuals should contact Jim Isleib if they have financial obstacles to participation. Registration, a brochure containing details on each individual program, and on-line or mailed payment options can be found at https://events.anr.msu.edu/begfrmr19/. You may register for all or some of the courses at any time, even if the session has already taken place. In that case, you will get a link to the recorded program. A high-speed internet connection is required. You will receive webinar connection information after you register. National Farmers Union’s “Growing for the Future” is a unique online, interactive virtual conference focused on beginning farmer and rancher issues. Add your event! Get in touch.